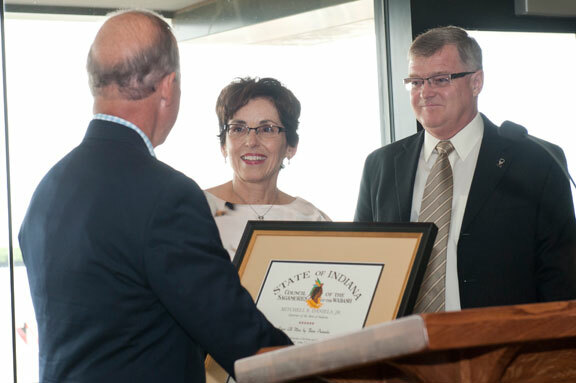 Purdue President France Cordova was honored Saturday evening (June 23, 2012) with the Sagamore of the Wabash award by Governor Mitch Daniels. This honorary award, created during the term of Governor Ralph F. Gates (1945 - 1949) is among the highest honors which the governor of Indiana bestows. It demonstrates a personal tribute and is usually given to those who have rendered distinguished service to the state or to the governor.